Stable, stainless steel powder coated frame. Individually adjustable seat height: no tools required. 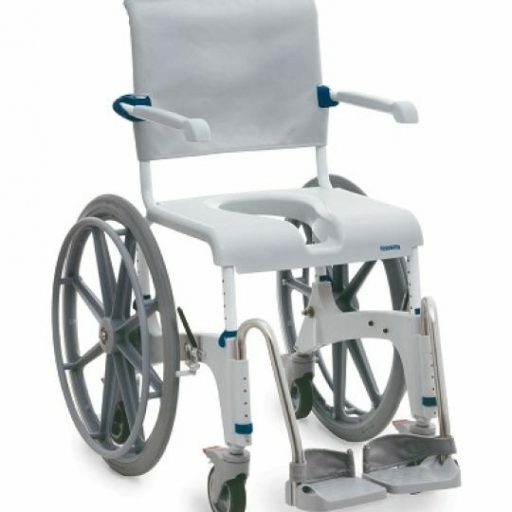 Machine-washable adjustable backrest with quick-release buckles, can be adjusted to the user. Space-saving push bar to enable optimal positioning over the toilet. Ergonomic, swing-away armrests can be adjusted to two different height levels. 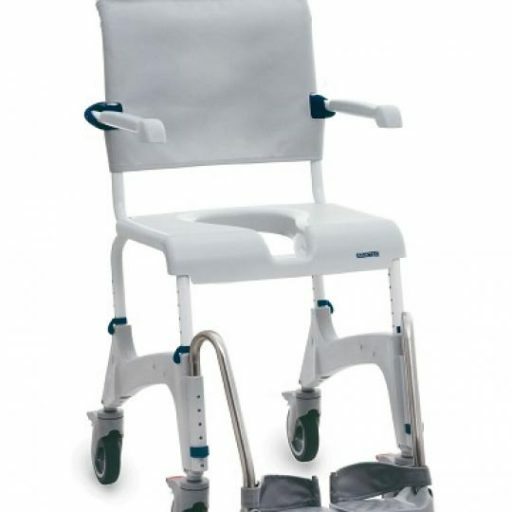 Height-adjustable, swing-away and detachable footrests for simple transfer Fold-away, textured footplates with heel loops provide a safe position.